Sunflowers are to Van Gogh what romantic comedies are to Hugh Grant. There are other artists who have done the same thing, but it just doesn’t look quite right. Yes, I have just compared Van Gogh to Hugh Grant. You’d think I would feel a little embarrassed but I don’t. Hugh Grant makes great romantic comedies. Anyways, coming back to Vincent Van Gogh. 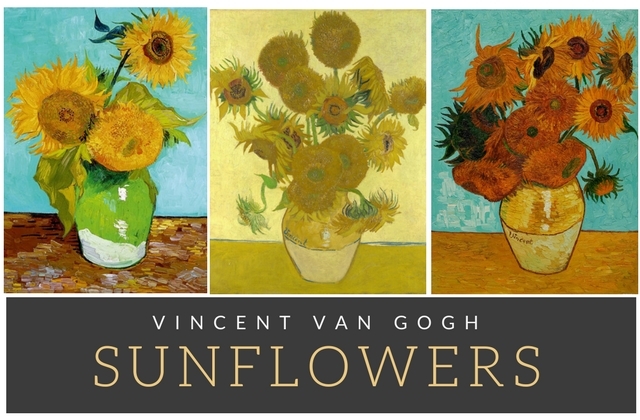 We don’t know what really made him paint sunflowers, but we do know that he had a way with these sun-turning flowers. 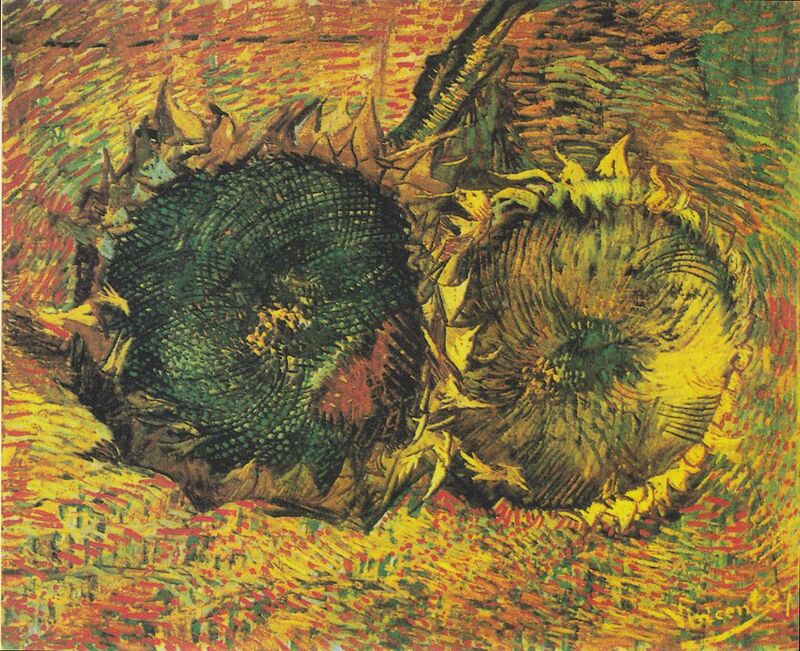 What many don’t know is that Van Gogh actually made two series of sunflower paintings. 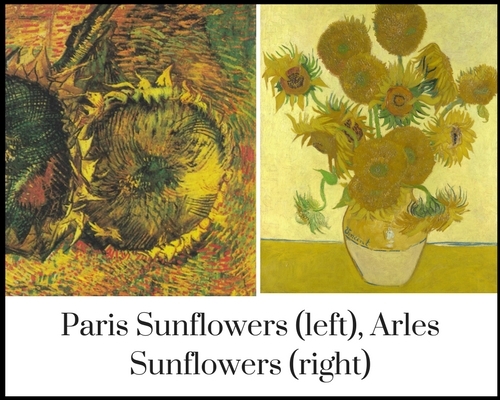 There were Paris sunflowers that were made around 1886 and then of course were the brilliant Arles sunflowers which were made around 1888-89. The difference between them is quite easy to notice. The Paris sunflowers have a more darker colour scheme and they are cut flowers lying on the ground. While the Arles sunflowers are in vibrant yellow and placed in a vase. The Paris sunflowers feel like a work in progress. You can easily see that Van Gogh was trying to experiment with different painting techniques and probably trying to discover himself as an artist. In one of his letters, Van Gogh revealed that he actually started painting the Arles sunflowers because he was trying to experiment with the different shades of yellow and incorporate them together. 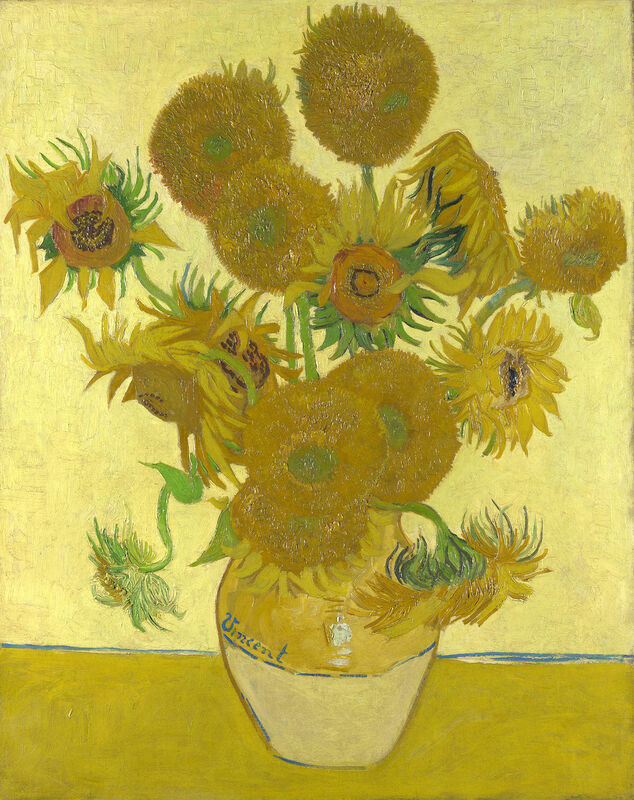 Van Gogh made over a dozen of sunflower paintings in Arles while he was waiting for Paul Gauguin to come stay with him and work with him in the studio. Of course, things did not go as planned for the two artists. But here is another part of the story - Gauguin wanted to keep one of Van Gogh’s Arles sunflowers and Van Gogh did not like it. After all, Gauguin had already acquired two Sunflower paintings from the Paris series and given nothing in return. That said, Van Gogh's sunflowers are one of a kind. You don't have to be an art connoisseur to tell that they are masterpieces. In fact, this Sunflower painting is such a crowd favourite that according to the National Art Gallery in London, the patch of floor in front of that painting gets cleaned the most. While for Van Gogh these sunflower paintings might have just been a way to experiment with colours and techniques, for me the sunflowers are a symbol of happiness and hope. I don’t know why or how Van Gogh was able to achieve that but when you see his sunflower paintings, especially the ones made in Arles, you are filled with optimism. Interesting thoughts and perspective. Warm greetings. Certainly a rare gift to express that feeling through brush strokes. I didn't know about the Paris sunflowers - interesting. BTW, I've nominated you for the Mystery Blogger award. You can get the details at my blog if you fancy playing along! Great article. 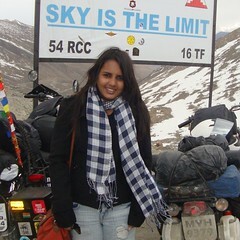 Exciting thoughts. His paintings are giving optimism to me.